We use a social header for both at-a-glance social proof and a very clear call to action. 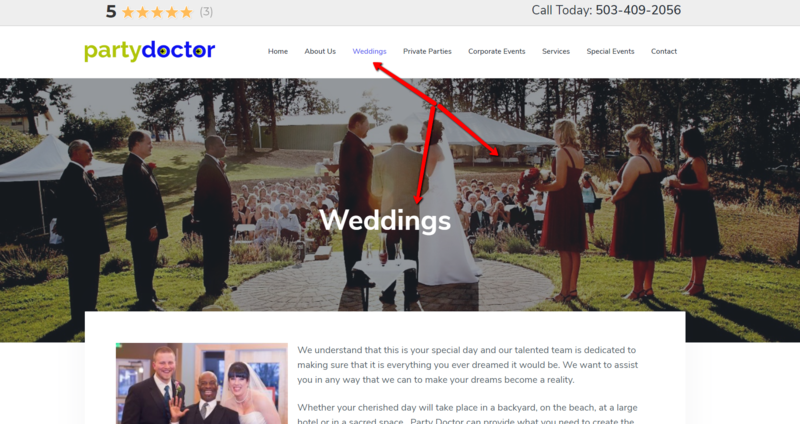 Main headers are present on every page, and include your logo and primary menu. A wide version of your logo works best here. Menu’s are kept simple and text only. They can easily be nested. Add pictures or icons. These often don’t play well with mobile devices. A single hero image with brief text and call to action button(s). Hero images are usually full width at 1920 pixels wide. 3 column grid. This is great for showcasing different areas of your business. Alternating full width 2 columns. This is a great way to showcase key areas of your business with large images in an alternating format. 2-3 column blog section. This is great to pull in recent blog posts from your built-in blog. Full column images with text and buttons. Similar to the hero image, this is a great way to showcase an important part of your business or a specific call to action. Interior pages are designed to provide information to both visitors and search engines alike. 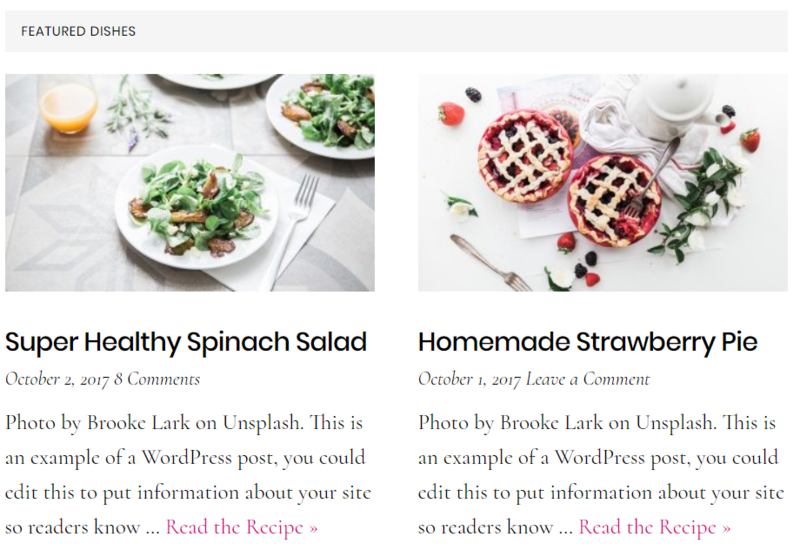 A sidebar allows you to showcase content next to the main body of an interior page. 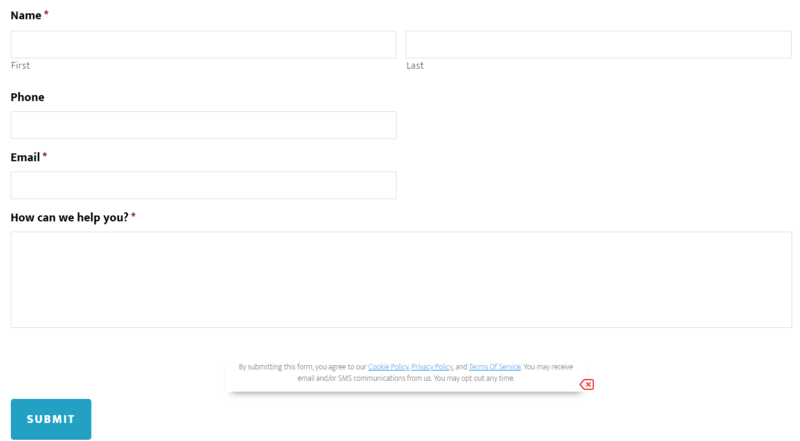 Sidebars are also a great way to include a call-to-action form on every interior page, allowing your visitors to easily reach out to you by filling out a form. Depending on the framework, we can feature a unique image at the top of the page to give a visual tie in to the content on the page. For example. 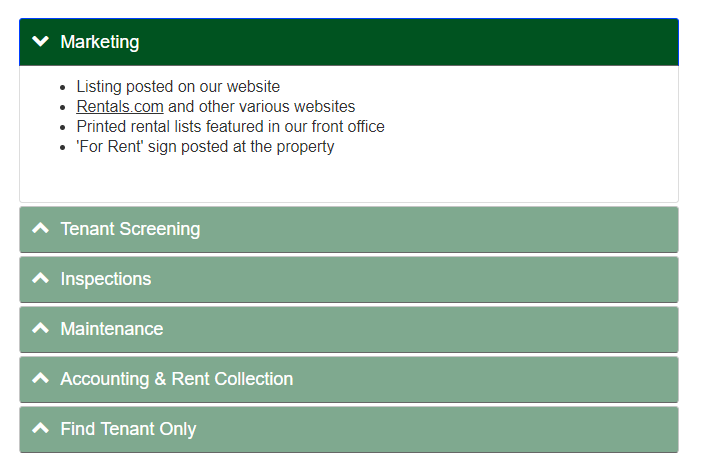 Footers are designed to present important information on the bottom of every page. You can see in this example that we’ve included things like certifications, social media links, contact information, a Google map, and a brief description. We use the leading form builder for WordPress on all of our sites. It is a great example of a premium (paid) plugin that you get the full benefit of by being one of our customers. We pay for the license so you don’t have to. We include a general contact form on all websites, and can build additional custom forms for you as well for an additional fee. Notice that we also include explicit consent notices on all forms by default. This means that you are complying with privacy and consent laws such as GDPR. We built special software that we now include for all of our customers at no additional costs, and are leading the market in this area. The form builder is very powerful, with custom fields, conditional fields, and custom notifications. There are very few forms that we can’t build using this form builder. Photo galleries are a great way to showcase multiple photos at once. We use a combination of strategies to build beautiful photo galleries that can be inserted into any page on your website. 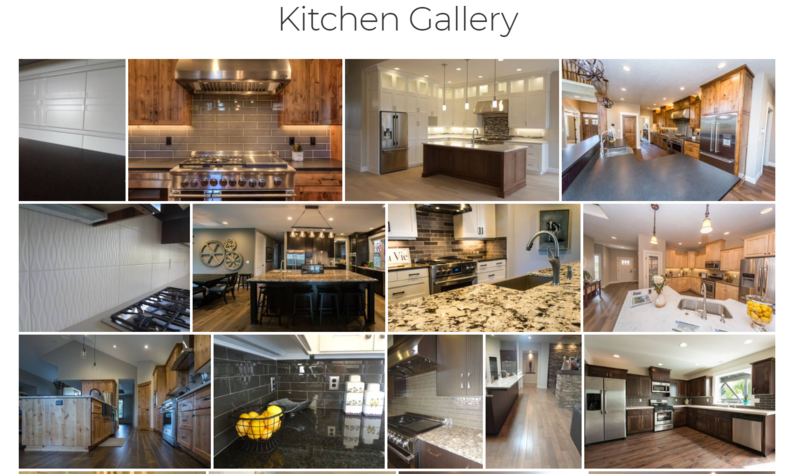 For example, check out this photo gallery for Cherry City Interiors. Notice how pictures of different size and orientation can be combined in the same gallery to look great. 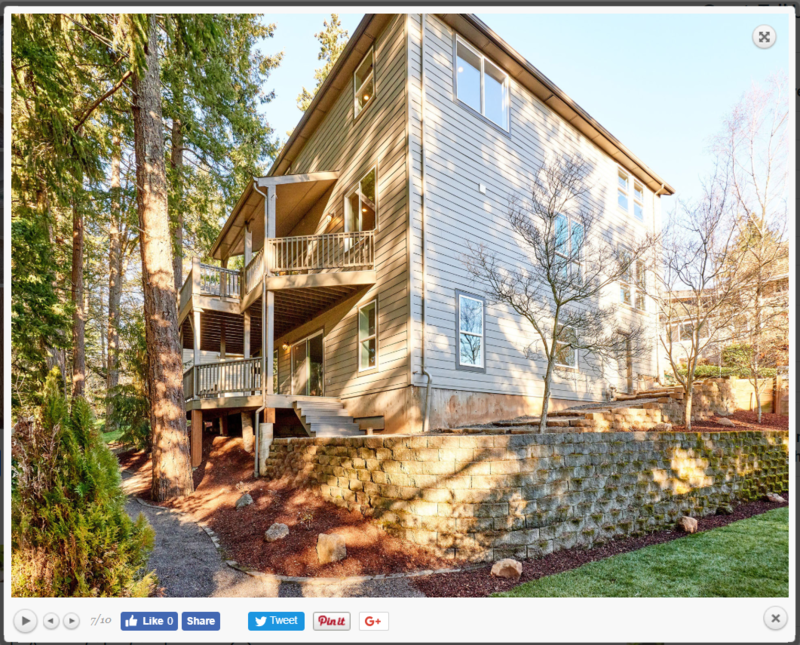 And this is an example of how an individual photo looks on Real Estate Investments NW. Home Page Integration: We usually combine a full-width image with an overlay feed of your recent reviews from our review engine. 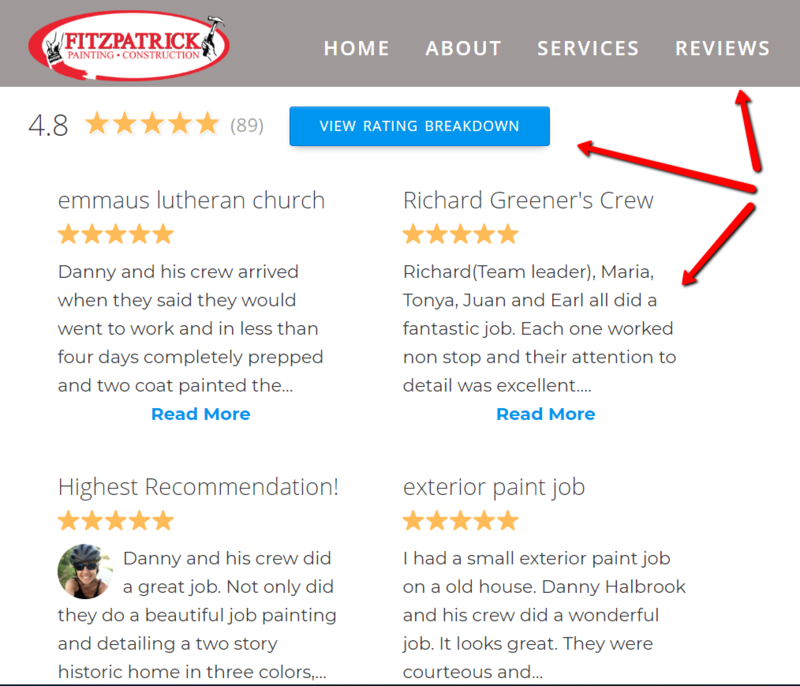 For example, this is how we configured it on Fitzpatrick Painting’shome page. This is a great way to visually showcase some of the clients and / or partners that you have worked with. It is scrolling carousel that can be inserted into the home page or any interior page that you’d like. Sometimes it is nice to break up content on a page into sections using an accordion format. This provides a nice visual format where users can click on and open additional content sections to see more content.